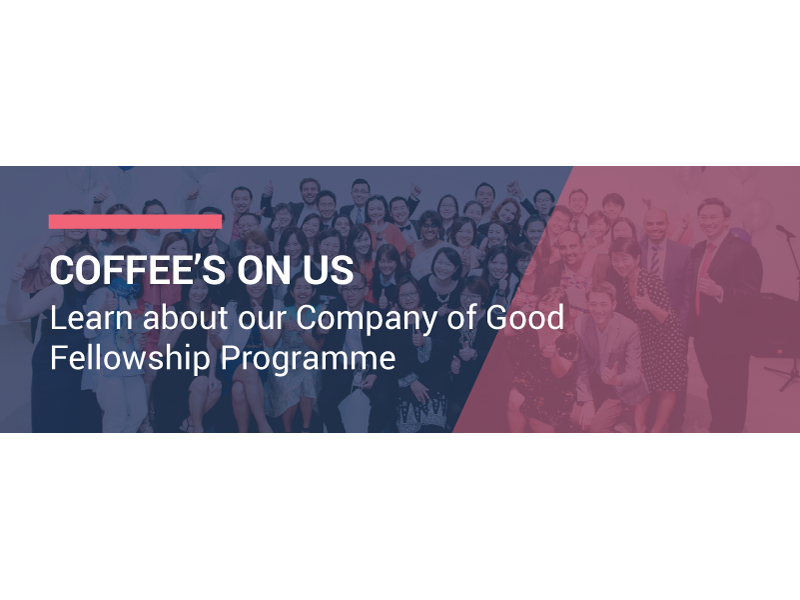 Into its third intake this year, the National Volunteer & Philanthropy Centre’s Company of Good Fellowship is a talent development programme that empowers business leaders to catalyse change and success for the business and community. Heard about the Fellowship and would like to find out more about it? Come have a chat with us over kopi and teh (your choice!) to learn more about the Fellowship on 2 and 4 October.